Yeah, I always like to see some SSDs with non Samsung, Marvell or Sandforce controller. What I don´t like = only 240GB instead of 256GB. The Corsair Neutron-series is almost the same, newer model have 256GB, 5 years warranty and a lower price. AFAIK the Seagate limits warranty to TB written and have only 3 years. So I would prefer the Corsair. I think Seagate was playing it safe by over provisioning that much (240GB vs 256GB). 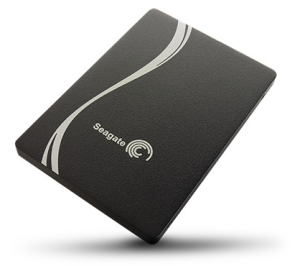 The Neutron series use 25nm or 22nm NAND where the Seagate is 19nm. As far as price and warranty.. I can't argue with you there.